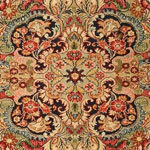 Antique rug selection by their Names and Styles - The art of antique rug making is one of the oldest crafts in the world, dating back millennia. 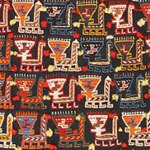 It is also one of the most widely spread crafts to ever take hold, with peoples from all over the world practicing their own iterations of the skill. 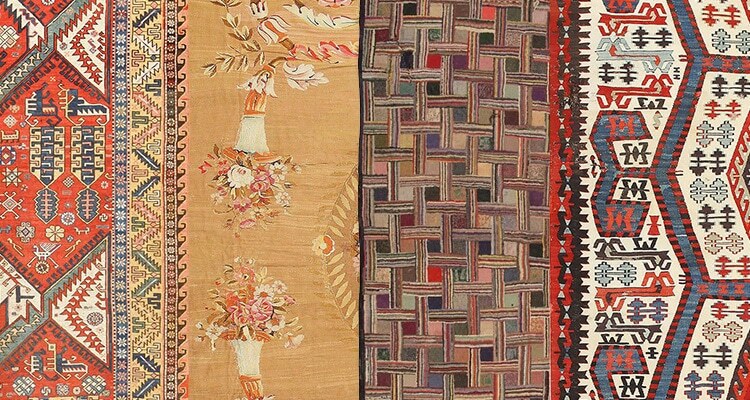 Cultures from places as far apart as Iran - the birthplace of Persian carpets - and Scandinavia - home to a great many widely-admired mid-century rug designers - have developed their own unique and distinctive rug-making techniques and styles. 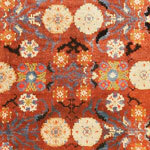 Each of one of these rug styles is unique and special in its own way. 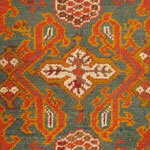 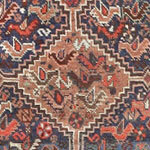 We take great pride in the breadth and the depth of our antique rug selection. 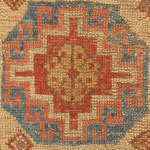 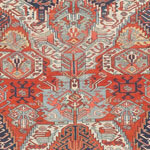 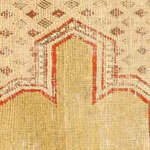 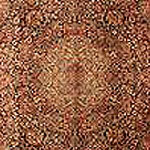 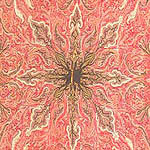 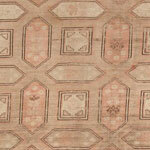 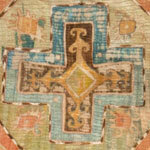 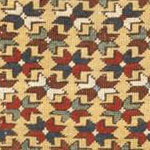 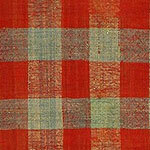 Our selection features a tremendous variety of different types of antique rug patterns and styles. 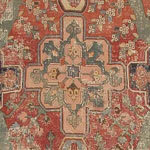 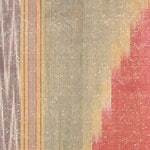 Below are links to the largest assortment of antique rug names and styles from all major rug producing centers worldwide. 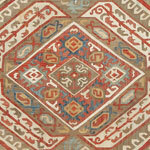 At the Nazmiyal Collection, you can rest assured that you will find whatever types of rugs you love. 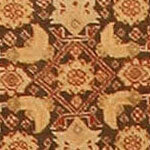 Our selection is comprised of so many different types of carpet that it known for being one of the largest found anywhere. 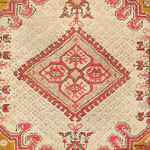 We offer everything from art deco style rugs, which will complement any number of room styles, to the highly sought after antique Persian rugs, which are one of the oldest and most iconic types of carpets. 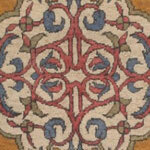 Whatever your interior decorating style, the Nazmiyal Collection offers such a varied number of rug styles and sizes. 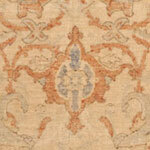 Therefore, there is something that will suit any room in your home. 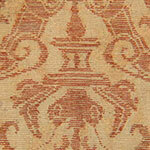 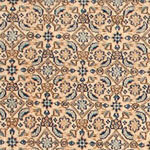 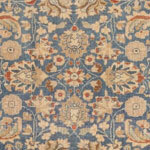 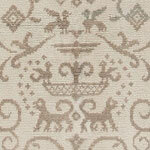 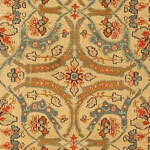 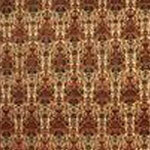 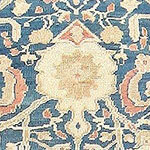 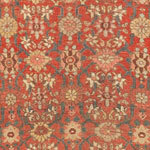 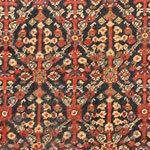 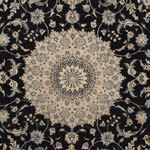 Our huge array of antique carpet types spans every size, shape, style and price range. 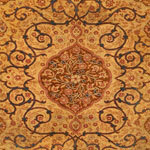 Whether you need something to place on your floors, or a masterpiece to use as a wall hanging tapestry rug, we provide it. 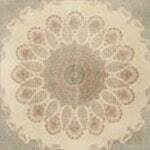 We have the quality you seek and variety you need to ensure that you find the exact rug style and carpet type that your heart desires. 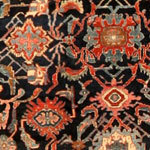 The Different Rug Types - There exists a wide variety of different weaving techniques, all of which result in different weaving textures. 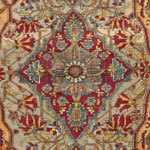 Most of us have heard terms like antique Persian carpets or Oriental rugs, but these broad terms encompass a great many styles and techniques. 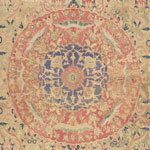 A trained eye will be able to distinguish a true Persian carpet from other types of rugs, and will also be able to recognize the many different rug types just through observation. 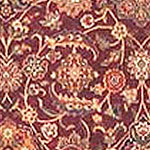 The variety of the different rug types and weaving textures in the world of antique carpets is tremendous, with some techniques resulting in flat woven rugs, and other techniques resulting in deep pile carpets. 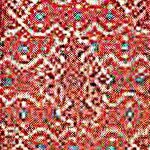 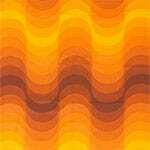 Read below to discover more about weaving textures - what makes them different from each other, and why they are that way. 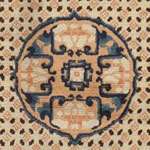 What is an Aubusson carpet? 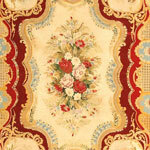 An Aubusson carpet is a specific type of rug that was woven in Aubusson France. 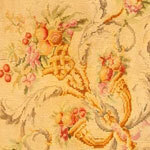 The Aubusson carpets were made in France and will mostly feature a distinctive flat weave technique. 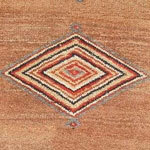 They were made in all kinds of color combinations which vary from soft earthy to bold and rich colors. 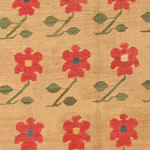 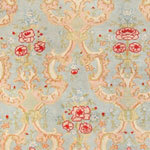 The patterns are mainly comprised of floral designs that are unmistakably European in style. 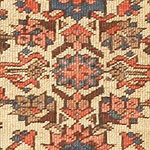 What is an America Hooked rug? 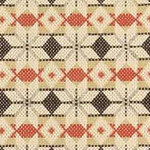 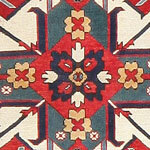 American hooked rugs are rugs that were woven in USA and were constructed using a hooking technique. 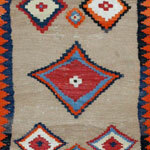 To weave the American Hooked rugs, the weaver starts by getting a piece of burlap that is slightly larger than what they want their final product to be. 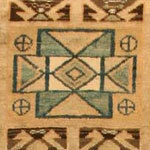 They use a special tool that is designed to hold a thread and pull it through the burlap. 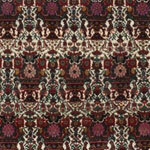 They make series of loops with threads in varying lengths to create the carpet. 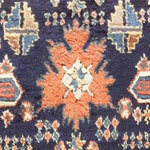 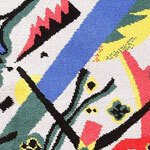 many of the rugs were created from old textiles and clothing that were no longer worthy of use. 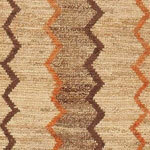 Kilim rugs are basically flat woven carpets. 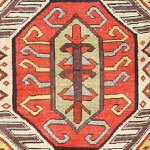 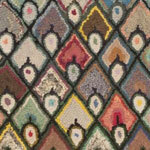 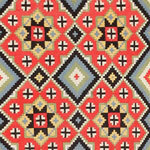 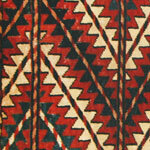 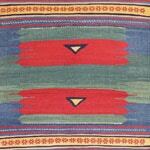 Kilim rugs were generally small or long and narrow and they feature geometric and tribal patterns. 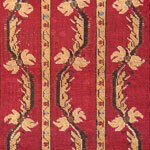 They often will feature bold and rich colors. 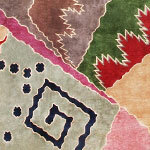 What is a Sumak carpet? 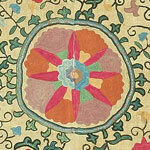 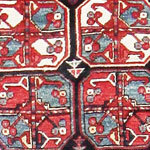 Soumak carpets are rugs that were woven in Caucuses and employed a flat weave technique called "Soumak". 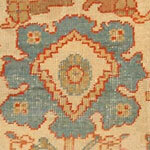 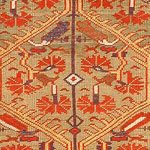 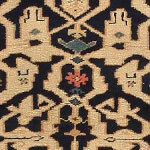 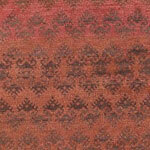 Antique Sumak rugs will appear to have a brocade look to them. 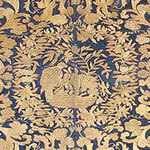 The brocade look is created when the weft threads are wrapped onto the warp threads making a chain of knots. 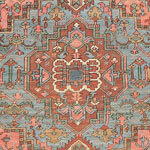 The texture is somewhere between an antique Aubusson carpet and a Kilim rug. 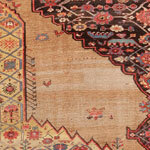 What is the difference between a rug and a tapestry? 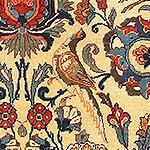 While sometimes the terms tapestry and rug may be interchangeable, for the most part the difference will lie in the intended use. 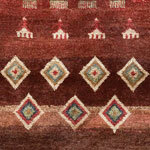 Rugs are technically woven to be used on the floor while tapestries were made with the intent of hanging on the wall. 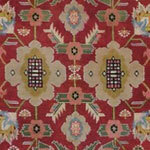 Many people confuse the term carpet, or antique rugs, as being interchangeable with the word tapestry. 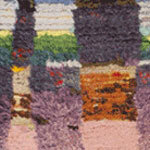 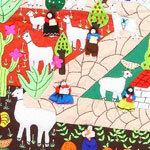 A tapestry is usually flat woven and was created specifically to be displayed on a wall just like a painting. 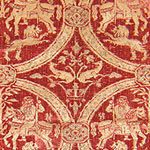 The backs of most of the really old examples, will be covered by some type of thin material (like linen) which people would add at some point to protect the tapestry from fraying. 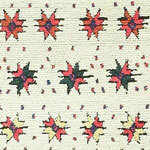 How are piled rugs woven? 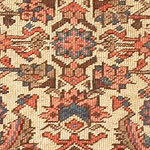 Traditional knotted pile rugs are created when the pile is tied to the warp threads and trimmed to make the threads be of the same length. 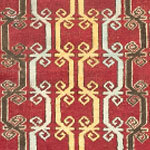 These rugs are made with hand tied knots and it takes a long time to produce them. 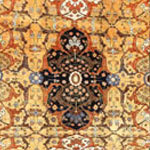 Many of these fine carpets contain thousands of knots which create the intricate patterns and stylized floral motifs. 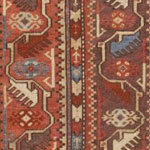 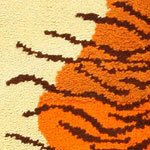 A tufted rug is a pile carpet where the two strands are not actually tied onto the foundation. 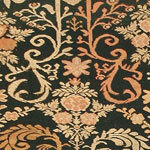 A tufted rug is created when the pile yarn is expertly wrapped around the warp threads and is left untied. 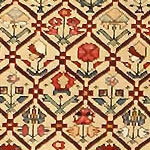 The pile is kept in place with a coating that is painted onto the backs of the carpets. 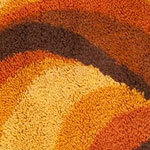 This coating works as an adhesive to hold the pile in position on the carpet. 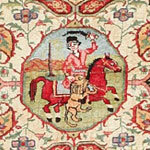 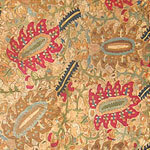 A Needlepoint rug refers to carpets woven in the needlepoint technique. 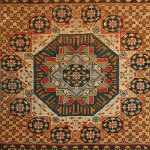 A needlepoint rug is handcrafted and made in a flat weave design by sewing the wool threads onto a large piece of material. 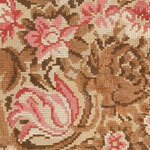 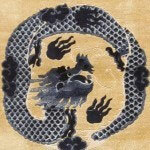 These designs are often very intricate and can take many months, and even years to complete. 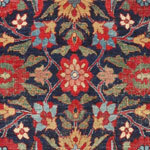 This post about the different rug types and carpet questions was published by Nazmiyal Antique Rug Gallery in Manhattan, New York City. 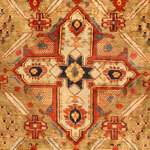 A rug's name does not denote its value. 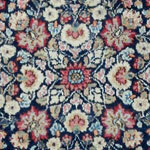 There are rugs of every type that are beautiful and those that are not so appealing. 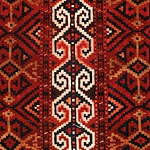 Even though I love Afghan and Persian rugs, you can find the most exquisite carpets from any country that has a large group of weavers. 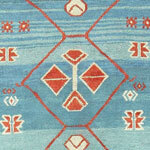 The name of the country where the rug got woven. 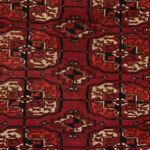 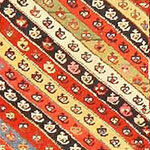 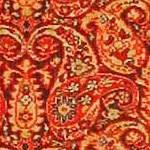 For example, you might see Indian rugs, Pakistani carpets, or Chinese rugs. 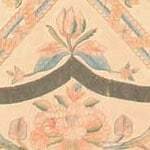 Let's provide an example to illustrate the points we already discussed. 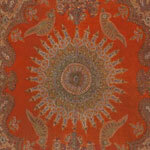 An Indo (the country of weaving) Persian (where the rug design originated) prayer rug (the type of rug) with a Tree of Life-type design. 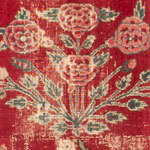 The name of a certain rug could come from the workshop where it was woven. 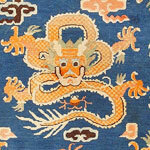 It could even get named after a Master Weaver that ran a workshop or someone who oversaw the weaving of different pieces. 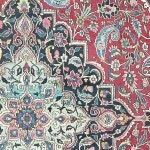 One example involves Haji Jalili (a master weaver from northwestern Iran) Tabriz (the city of origin), which was near the area where the carpets got made. 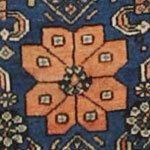 A carpet's name could also come from a producer's name. 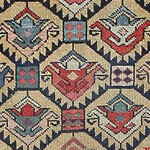 For example, let's take the creator of the current Oriental rug production method that directs their weavers to create innovative carpet designs. 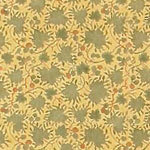 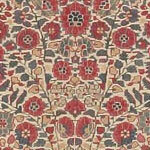 One example comes from William Morris of the Arts and Crafts movement. 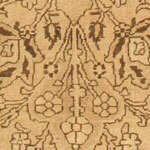 William Morris founded the Arts and Crafts Movement (1870 - 1920), which favors excellent craftsmanship. 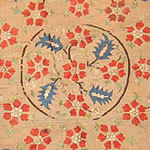 simplified designs and less decoration than one saw in the Victorian period. 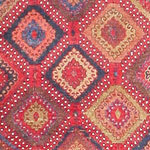 Or take the rug type: One type would come from a Gabbeh, which might have gotten woven in one of many different villages located in the Southern region of Iran. 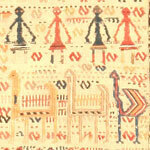 You can read my article "What is a Gabbeh?" 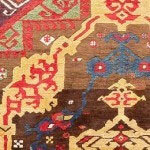 for more information. 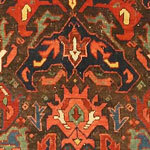 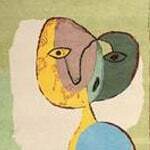 Sometimes the name of a painter got attributed to a certain type of rug due to it being put in their paintings. 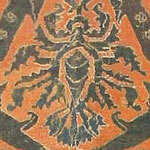 One example involves Hans Memling, a Flemish painter from the 15th century. 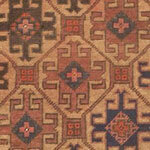 He had a rug named after him called the "Memling Gul". 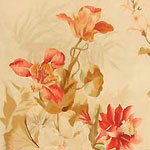 There's also the design's name itself. 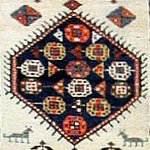 One example can come from the "Eagle Kazak". 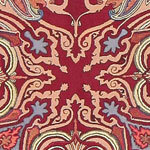 The name of a design could come about when it gets copied so much that it becomes prevalent in the community. 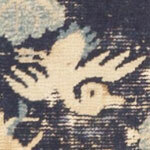 Lastly, there's the city that the carpet dealer guessed where and when it was woven. 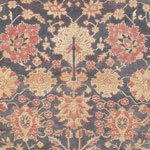 An example we could talk about is the "Antique Qum Rug". 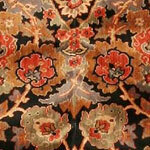 The weaving that took place in Qum, Iran, started in the 1930's. 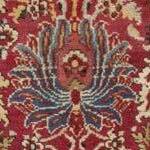 However, an antique rug should, at a minimum, be at least 100 years old. 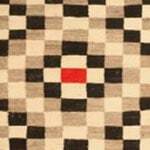 I hope that these examples explained the method behind naming rugs in a simple manner.